Makes a great gift for Mother's Day and Father's Day! Green Bambino is pleased to announce a very special service to our customers. We have made arrangements with Virginia Rose, a nationally acclaimed children’s silhouette artist, to hold one of her silhouette events at our store. She will be here on Tuesday, April 30th, and Wednesday, May 1st. It’s fascinating to watch Virginia hand-cut the silhouettes and her detail is absolutely exquisite. Virginia’s silhouettes are not created by computer, camera, or by using a shadow technique. Instead, she looks at the child and then hand cuts the child’s silhouette image. The result is collector quality art. Virginia will create the silhouettes “live” in our store and you can take the finished product home with you. 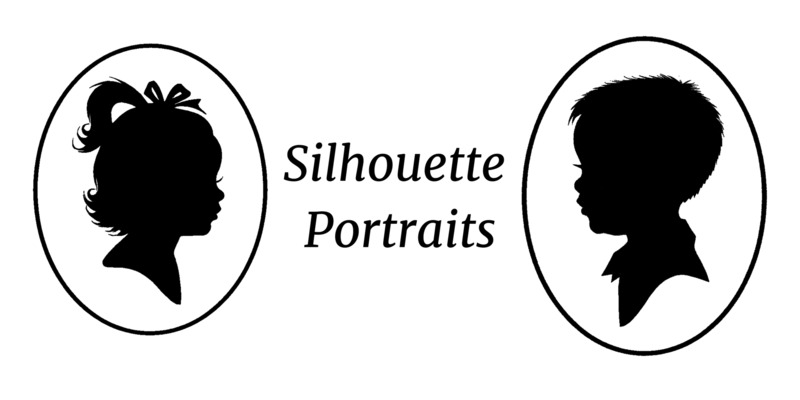 Silhouettes of children will make PERFECT GIFTS for MOTHER’S DAY or FATHER’S DAY or any other special occasion. This will be a wonderful opportunity for you to obtain a collector quality, custom silhouette of a child or grandchild that will be a cherished heirloom for your family. Virginia creates silhouettes of children of all ages (adults and pets, too). In minutes she can capture the likeness of a child from a personal sitting in our store. Children do not have to be perfectly still. The cost is very reasonable, only $30 per child for the first 5” x 7” silhouette. If you desire extra silhouettes of the same subject, duplicates can be purchased for only $10 each. Special silhouette frames are also available. Please select one appointment time for each child or person. The $30 ticket fee covers the first silhouette.